While we may think concrete is beautiful, not everyone will agree! But there is no doubt that it’s weight and presence does it’s job. Polysafe have developed a range of concrete barrier planters than can satisfy the practical needs, but can be toned down with some suitable plants, decorative stones, or even ornaments. 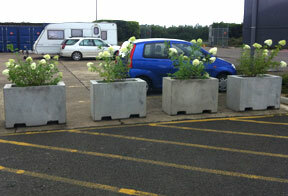 The planters can also be painted if you have a specific colour* in mind for your site. 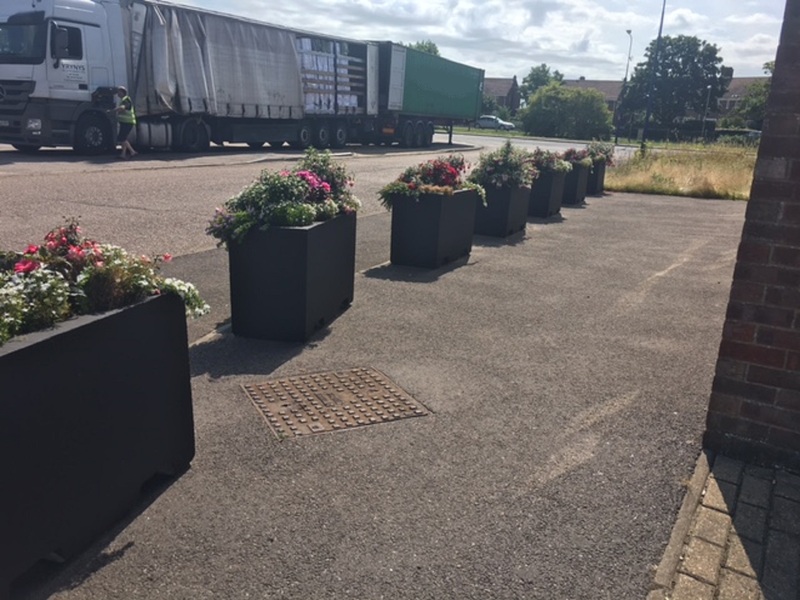 *Painted concrete planters are subject to colour availability, most RAL codes are covered, please contact us for more information.